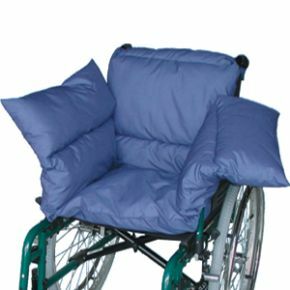 Wheelchair T Shaped Pillow Set Cushion For Support. Thank you so much. I bought this for my Mum who is very thin now, to give her more padding in her wheelchair. Amazed at the speed of delivery - ordered at 1.10pm and delivered the next day at 9.30am. It makes her very snug and well supported. Highly recommend.